Find Hazlet homes for sale and homes in Hazlet. Call 732-598-7700 to see homes in Hazlet. 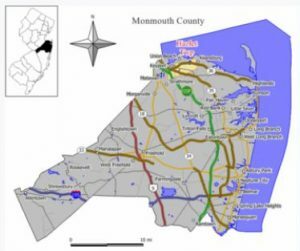 Hazlet is located in the northern section of Monmouth County. Most of the homes for sale are in the starter home price range, however, recently homes have sold for over $600,000. Most of the homes are detached single family homes, but there are a few condos in Hazlet. Routes 35 & 36 pass through Hazlet, along with the nearby Garden State Parkway. As a result transportation is easy to get to where you need to go. You won’t be able to say “you can’t get there from here”. There is access to the Jersey Shore, shopping, dining, NYC in addition to points north and south. A train station in Hazlet for the North Jersey Coast Line provides access to New York. Also, bus transportation is available with many bus stops. Hazlet is part of the Bayshore Regional Strategic Plan. This is an effort that nine municipalities are combining in by making an effort to revitalize traditional downtown areas. According to the 2010 Census, the population in homes in Hazlet is a little more than 20,000 people. There are over 7,000 households and the household median income was $89,415. The Hazlet School System educates children in grades K-8. There are six elementary schools in Hazlet (K-6), also one middle school (grades 7-8). When children enter grades 9-12 they will attend Raritan High School. As an option, when students enter high school they can also apply to one of the five high schools in the Monmouth County Vocational School District. Specialized courses are available in fields such as computer science, and biotechnology. Also there are courses in the medical and science fields available, among others. It was the site of the last drive-in theater in New Jersey, which closed in 1991. The location is now a shopping center. Although, since then a drive-in theater in Vineland has opened. Sandy Hook is just a few minutes drive away. Concerts are regularly performed nearby at the PNC Bank Art Center in Holmdel. Shopping and dining are abundant on Route 35 and Route 36. Call 732-598-7700 today to make an appointment to see Hazlet homes for sale.